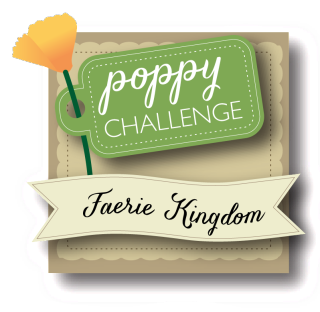 I am participating in the Poppy Stamps Challenge #38- Faerie Kingdom. 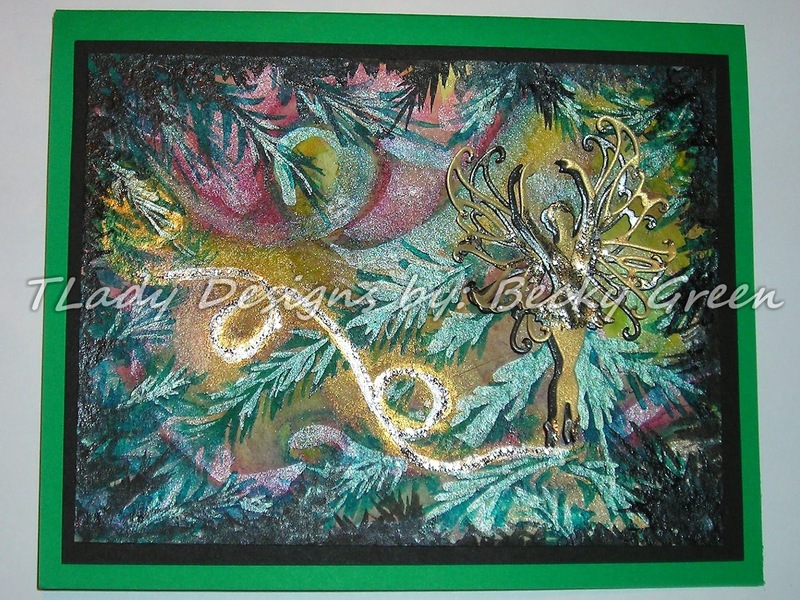 I used Kuretake Water Colors & the Gansai Tambi Starry Colors & Pearl Colors. 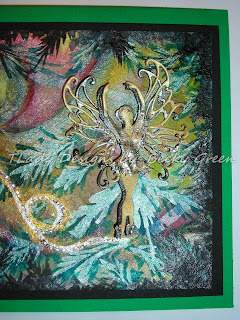 The Faerie is Poppy Stamps- Poised Faerie. She is layered up first in black & then a vellum layer. Here you can see a close-up. I dressed her in Stickles Glitter Glue. 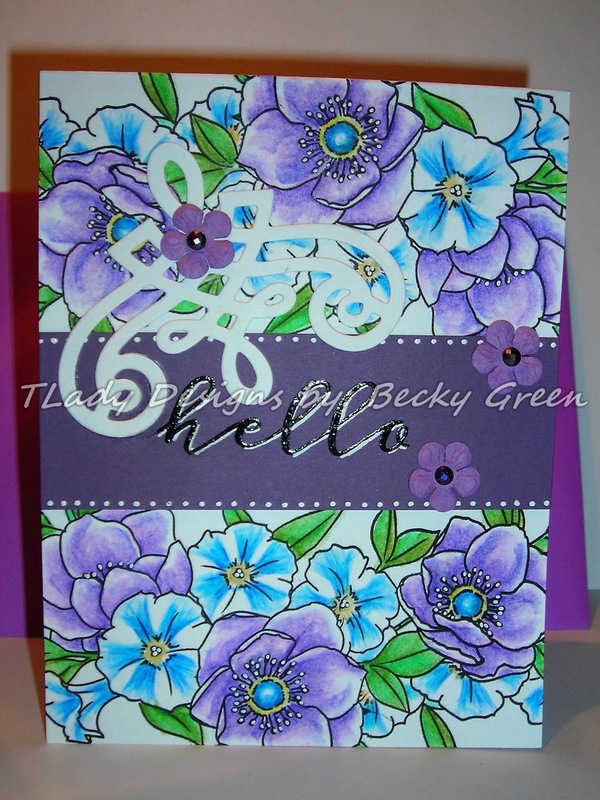 I used the Poppy Stamps- Fairy Greetings, CL452. 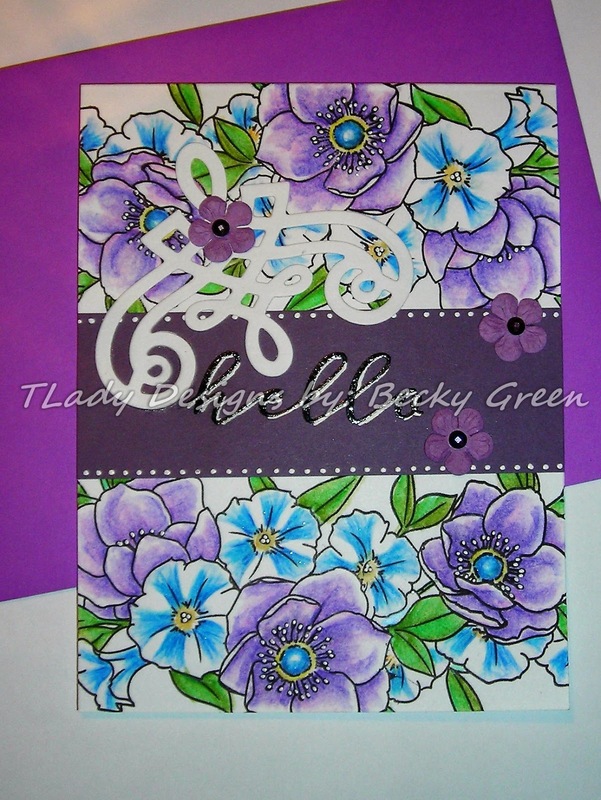 Just a fun, artsy type of card! 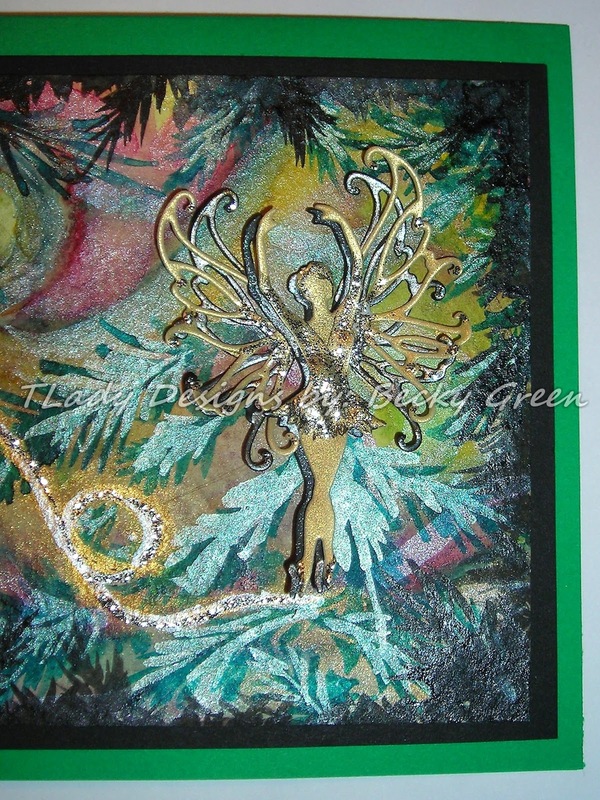 Do you have Faeries in your tree? I hope everyone of you are with those you love & just enjoying the day together! Thank YOU for taking the time to visit my blog today! Always have a grateful heart! because you aren't looking to see what others have & comparing it to what you don't have. Being grateful is being satisfied with what you have. or someone who has more than you do. because everyone has had it rough at one time or another in life. not just in the financial area, but we can have poverty in many other areas in our lives also. Poverty of ANY KIND makes the soul weary, needing a kind word or deed from others. but hold them deep within & those hard times, may even still bring them pain. Be grateful in all things & at all times! 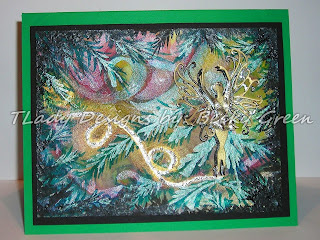 "In Everything give thanks; for this is God's will for you in Messiah Yeshua." & would make a nice Thanksgiving Wish for you all. 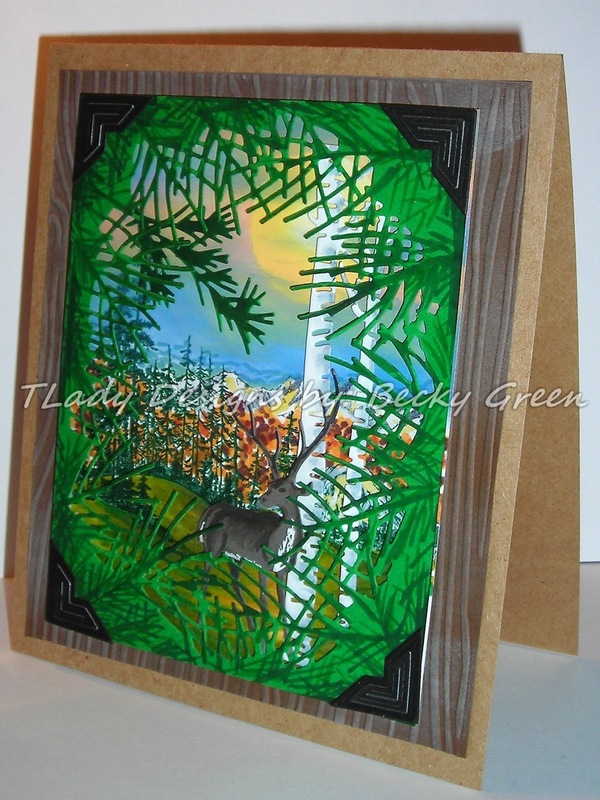 CHF- The Pines, & Scene It- Mountains, stamping them with Memento Ink & SU Inks. The sun was punched out with a SU- 1 3/8" Circle Punch, masking it with Post-It Labeling Tape. 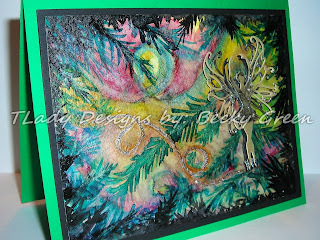 I used Oxide Inks for the sky. 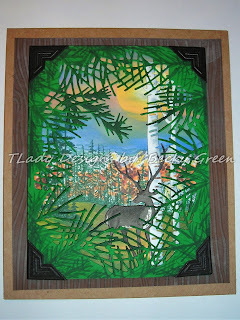 I used Poppy Stamps- Pine Needle Clearing for the framed Pine Needles. I used my Spectrum Noir Markers to wistfully add pine needles on top of the die. 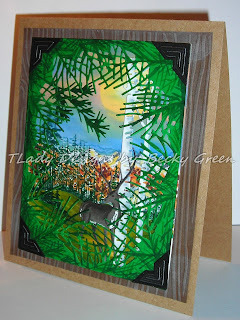 Also adding Sizzix- 661597 Tim Holtz Alterations- a piece of pine from that set. 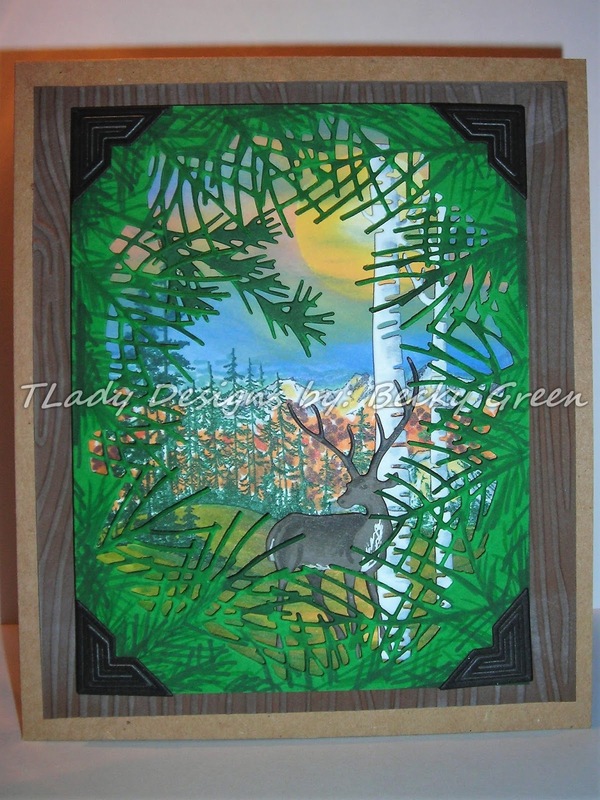 Along with I.O.- Birch Trees- DIE079-U & Deer Trio- DIE080-N, touching them up with my Spectrum Noir Markers for highlights & shadow, including a touch of a Signo White Pen. 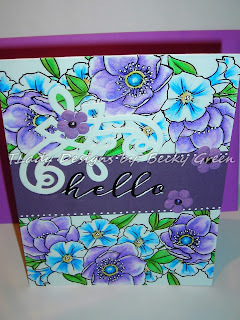 & PTI- Mix & Mat Herringbone Dies. 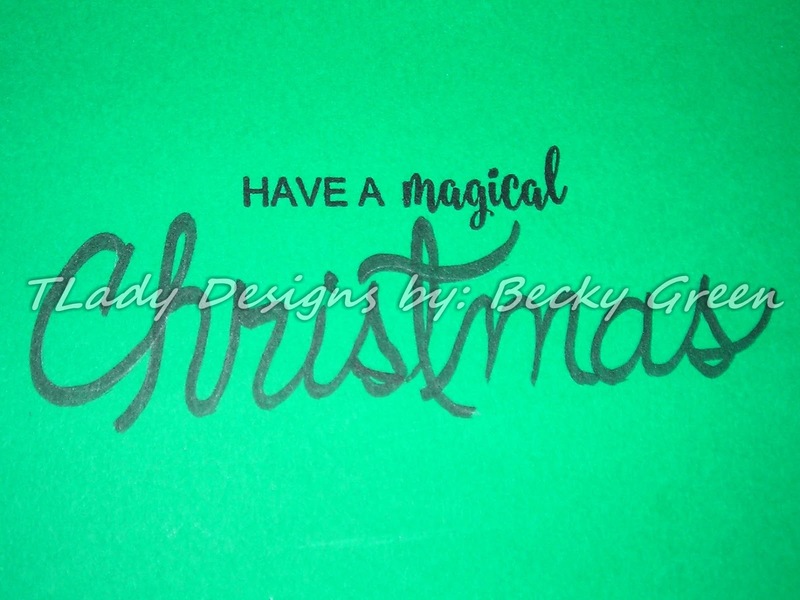 Today, I have a card for you that I enjoyed making. It's a basically a one layer card. 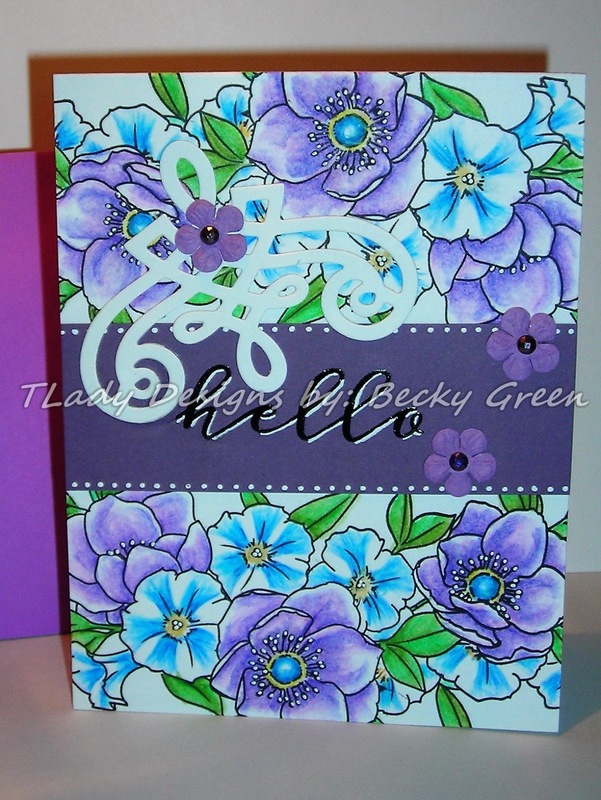 I used regular card stock--- card stock for your printer for my base. 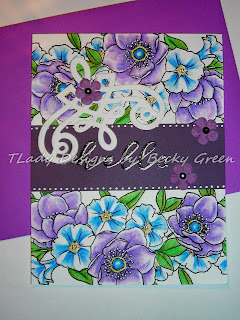 stamping it on one end, flipping it & stamping the other end of the card front. 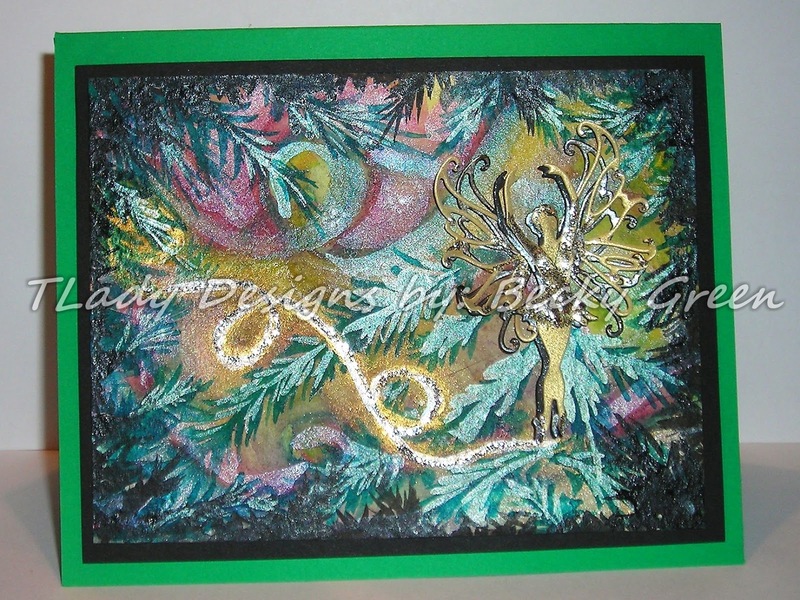 which is where I placed a strip of card stock with my sentiment from the same set by WPlus9. I water colored my flowers. What? On that paper? You say. 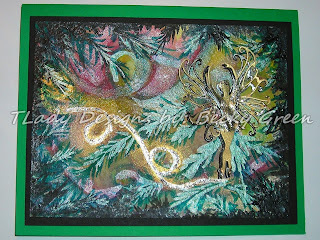 & then used Novu Aqua Brushes to move the color. 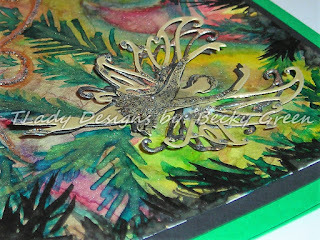 I also used a Spellbinders- Graceful Boarders- 6 x 6 Frame Maker Dies for my flourish. 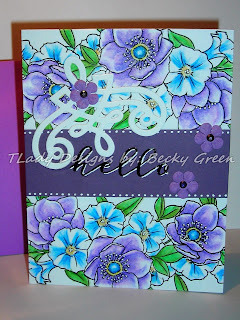 Adding Prima Flowers & Gems, along with an envelope made with WRMK Envelope Maker! Add some FLOURISH to your day! Here today with a post & card for Dawn McVey! 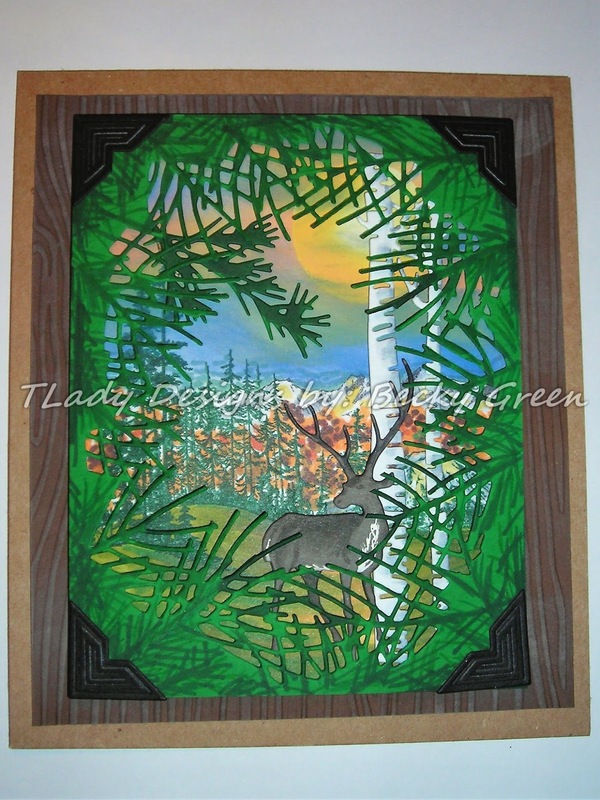 Dawn ALWAYS creates the most colorful & beautiful cards over at PTI. WHO wouldn't LOVE bright cheery flowers when they aren't feeling well, or at any other time? 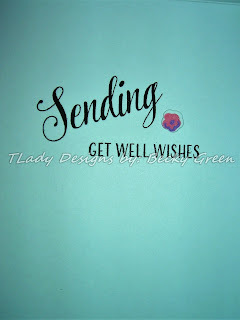 I HOPE you are doing well Dawn & have a SPEEDY RECOVERY! You can read all about Dawn, from PTI below. 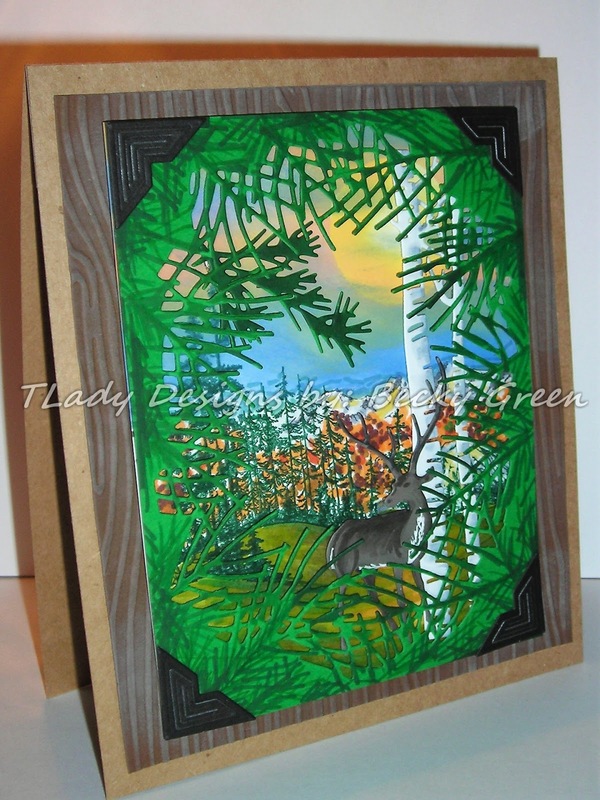 Designer Dawn McVey has been an active part of the paper crafting industry for nearly a decade. Not only has she played an important role within the Papertrey community, she has always been a ray of sunshine to others through blogging and social media. Many of you are familiar with the personal health struggles she has had over the past few years, and might have seen the recent news that she is now a proud small intestine transplant survivor. 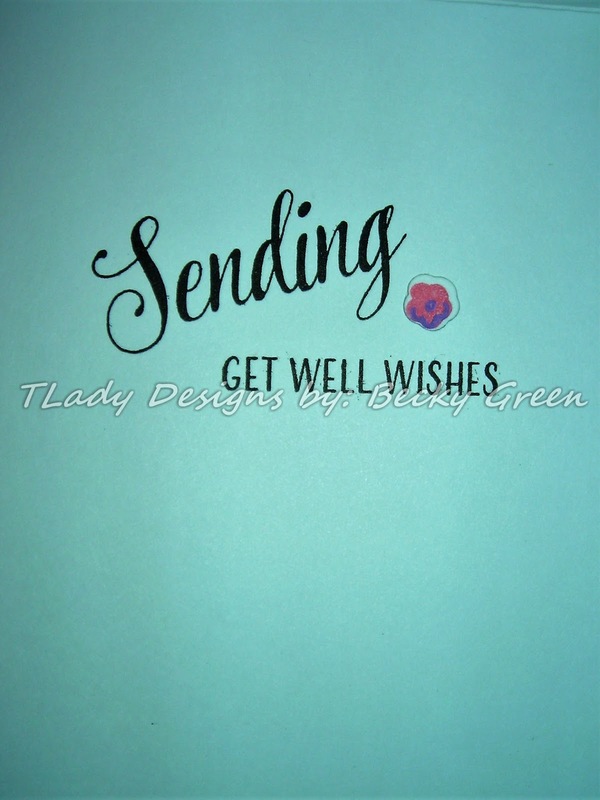 The community thought there would be no better way to honor Dawn and support her during her journey to recovery than to make a colorful, vibrant presentation of get well soon greetings. Dawn has always brought color and joy into our lives, and now we are able to do the same for her. So here's to Dawn. May she find the strength on the hardest days. May she have peace through the recovery process. May she feel the love shining down on her from around the world. If you would like to mail your creation to Dawn, you may use the address below. P.S. If you would like to help further, you can make a donation on Dawn's You Caring Page by using the widget below or going directly to the site HERE. 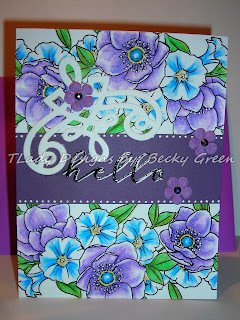 Here is the card that I created for Dawn's Blog Hop! The flowers look so Vintage, just the way Dawn created them! 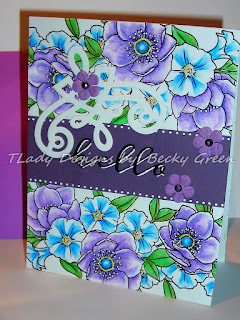 I stamped the flowers in Oxide Inks & spritzed them to brighten the colors & add interest. I used PTI's- Brushed off: Rectangle to frame the sentiment. 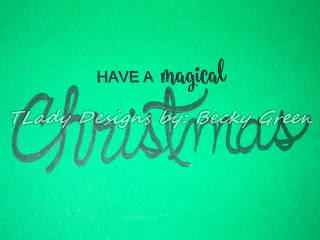 The sentiment on the outside is from the same set, embossed in gold. 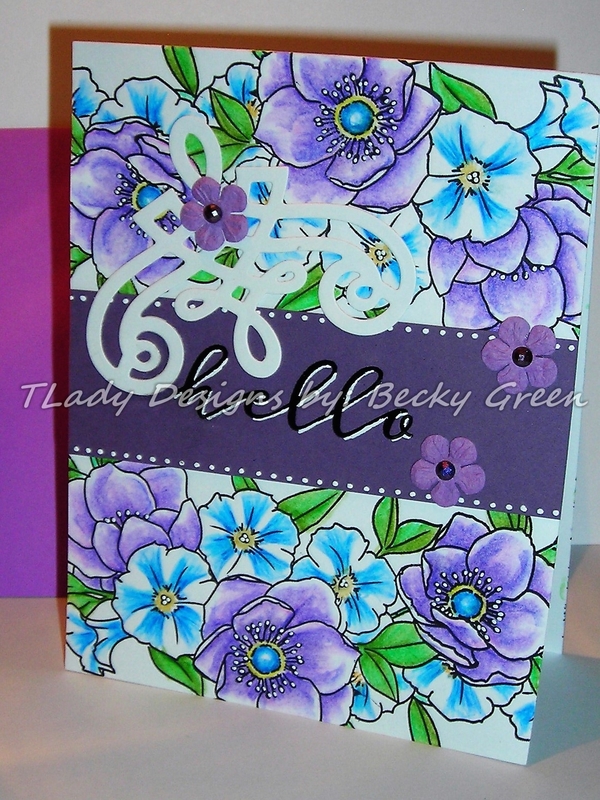 I added Prima Crystals to the centers of the flowers & I added Spectrum Noir Sparkle to the flowers. from PTI- Don't Forget To Write. 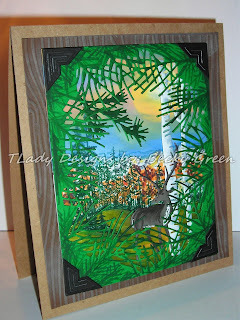 Just a short post today, & a recommendation for a GREAT read! 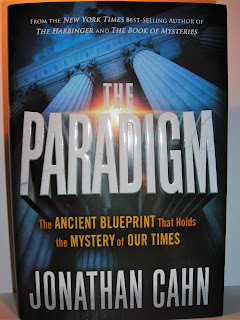 I just wanted to let you know what a GREAT book The Paradigm is! Something that I've always heard growing up, & read in Scripture is that God loves me & knows me, inside & out! THAT is HOW WELL He knows us! "But even the number of the hairs of your head are all numbered. So do not fear; you are worth more than many sparrows." "Indeed, even the hairs of you head are all numbered. So do not fear; you are more valuable than any sparrows." I don't know about you, but I will never weary of hearing how much God loves me! This is what I took from this book. 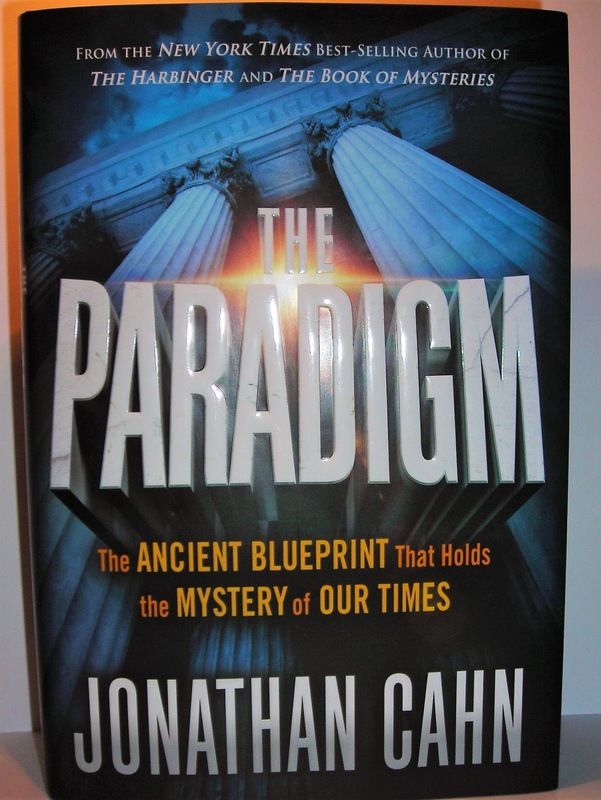 The book gives us an ancient blueprint that holds the mystery of our times, as the book cover says. all we have to do is trust Him! & exactly what we will do with our lives. He has a "blueprint" for our lives. It is up to US to make the right decisions for our lives. He gives us the choice to put our decisions into His perfect will, or not! Just like He gives us the choice to serve Him or not. There are consequences to either side of those decisions. down to dates, names, & even times is a beautiful mystery of MAGNIFICENT LOVE! Jonathan Cahn's book is another way for God to show His love for us, that just BLOWS MY MIND! It is a GREAT READ & I know you won't be able to put it down either! God is good & He loves us! He wants us to KNOW that & He wants us to choose what is pleasing to Him! Loving submission to His Will! The outcome for us looks good. the consequences of our decisions will be rewarded! Seek to please God in EVERYTHING!!!! God doesn't want ANYONE to be lost! Our time is short on this earth & growing shorter with each passing day! that they will follow Christ with ALL of their beings too! That they won't fall short in leading our country in what God has for our country. "Therefore stay alert; for you do not know what day your Lord is coming." KNOW, God loves you & cares about YOU!